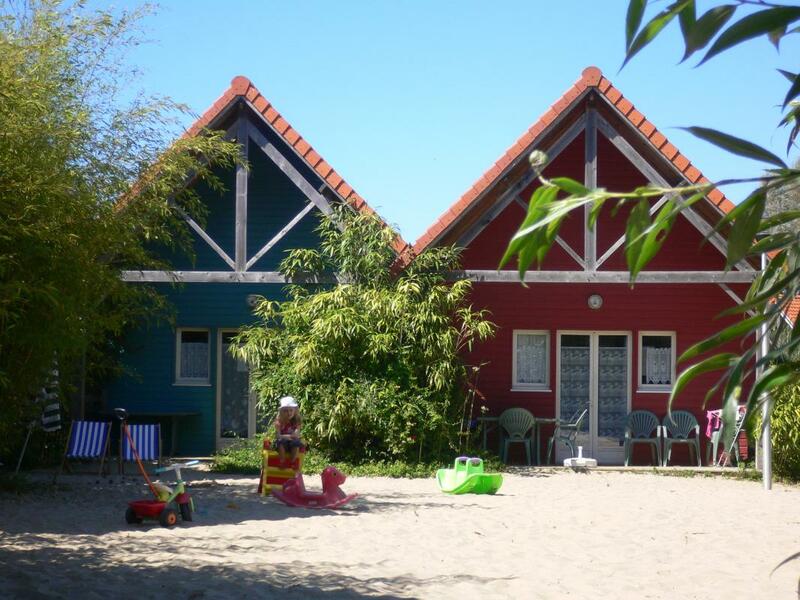 2.5km from beach, NATUROTEL is a holiday village of 22 self-contained chalets, 2 with disabled access. All chalets have digital TV. Beds made on arrival, towels supplied. Shared tumble driers. Can be rented by the night. Seminar room. Group catering possible (20+ people).Chalet (42 sq.m.) + covered terrace (8 sq.m.). Ground floor: living room (sofa bed), kitchen area, bedroom (2 single beds), bathroom, WC. Mezzanine bedroom (2 or 3 single beds), free baby equipment. Dogs allowed. Optional cleaning: 30€.